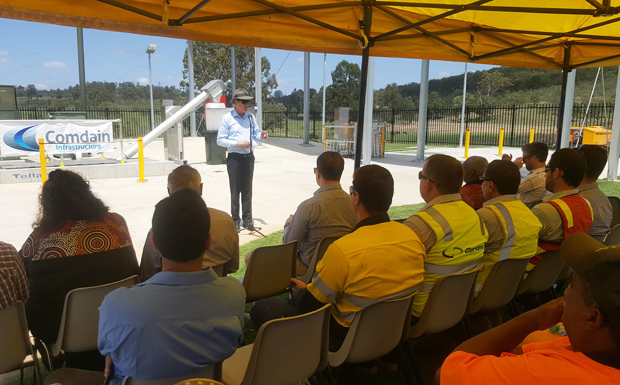 Cherbourg’s new $15 million wastewater treatment plant was officially opened by the State Government’s “Champion For Cherbourg” Dr Anthony Lynham on Thursday morning. The Natural Resources Minister said the new infrastructure was designed to provide for the needs of the community for the next 50 years. He said the old facility catered for just 700 people. “This facility will allow Cherbourg to grow up to 3000 people,” Dr Lynham said. He said Cherbourg now had a low-maintenance and long-lasting wastewater solution. 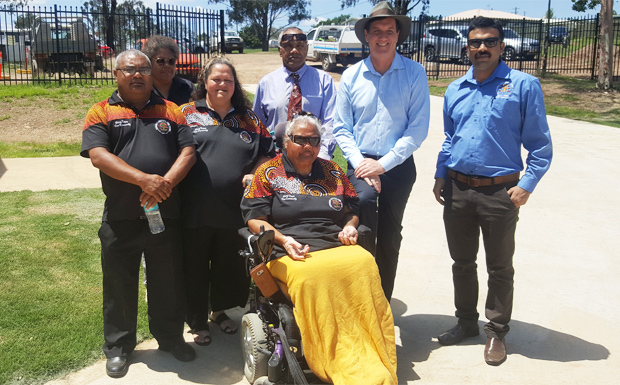 “It not only delivers on improving the health of the local community but during its construction it secured 2500 hours of work and training for local Indigenous workers,” Dr Lynham said. Local Government Minister Stirling Hinchliffe said Cherbourg Council staff were being trained to maintain the facility. 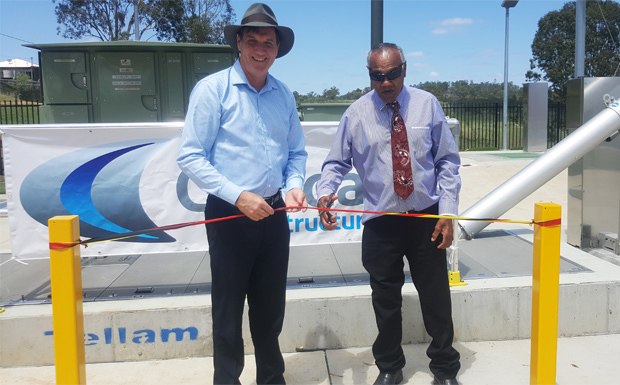 “This is a great example of the State and local governments working closely together in the best interests of the local community,” Mr Hinchliffe said. Cherbourg Mayor Arnold Murray said these projects would ensure the town was a better place to live. “The demand for water is only going to increase and these projects will also help provide water source options for agriculture,” Cr Murray said. The new plant includes a series of ponds on a site away from the township plus new pump stations, infrastructure and irrigation systems. The project builders, Comdain, also gifted the community with a revamped operator’s office. Construction staff pitched in to renovate the old building.